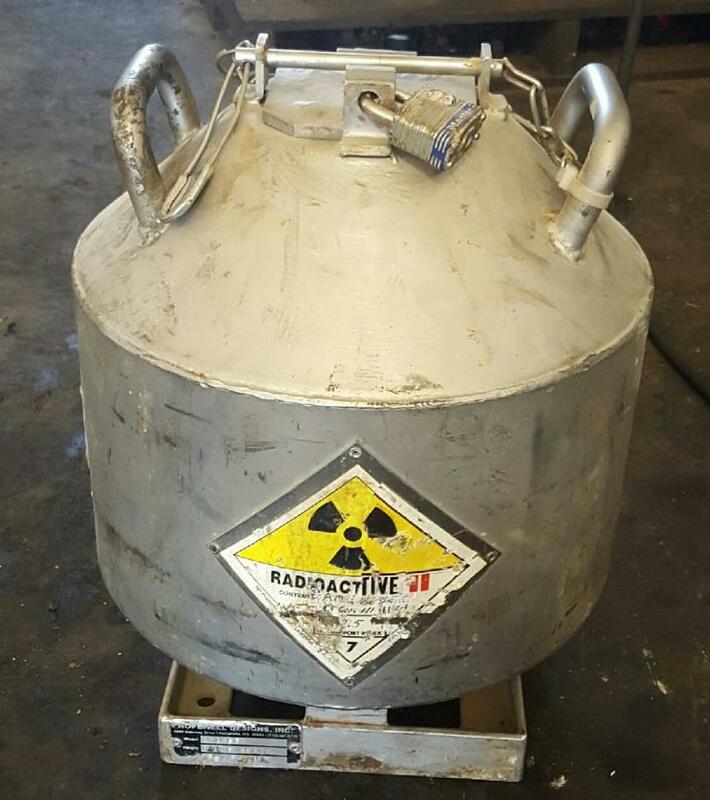 According to the Illinois Emergency Management Agency, a radioactive well logging source holder that was reported missing in October has been found and returned to its owner. The agency was notified on Friday morning by Wayne County Well Surveys, Inc. in Fairfield that the container was brought in by a local farmer who reportedly found it in his field. The IEMA immediately dispatched a staff member to Fairfield to verify the identity and condition of the device. Photos sent to IEMA radioactive materials licensing staff in Springfield enabled them to confirm the container housing the radioactive device is in good condition and posed no threat to the public while it was missing. IEMA Director James K. Joseph appreciated the efforts of everyone including the U.S. Department of Energy’s Radiological Assistance Program, Illinois State Police, Illinois Department of Transportation, local law enforcement and emergency management, and the public. The IEMA licenses the company’s possession and use of the radioactive source holder, which is part of a larger tool used to assess geological formations in oil and gas, groundwater, mineral and geothermal exploration. In October 2015, the company notified the IEMA that it was unable to locate the device, which was last known to be in a company vehicle. The notification triggered a search in 18 counties in Illinois and Indiana where the device had been used or traveled through to reach job sites. Joseph stated the agency will continue its thorough investigation into this matter.